Optima: 4,845mm long x 1,830mm wide x 1,455mm high. Superb: 4,838mm long x 1,817mm wide x 1,462mm high. So in boot and rear legroom stakes they’re neck and neck. 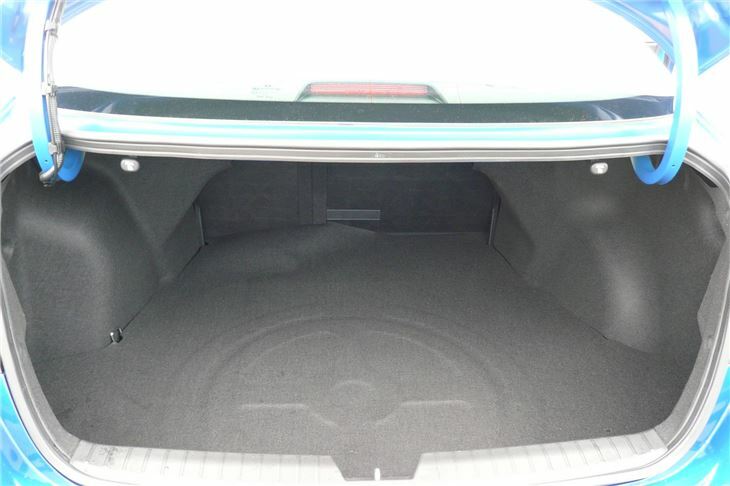 You can really stretch out in the backs of both of them. 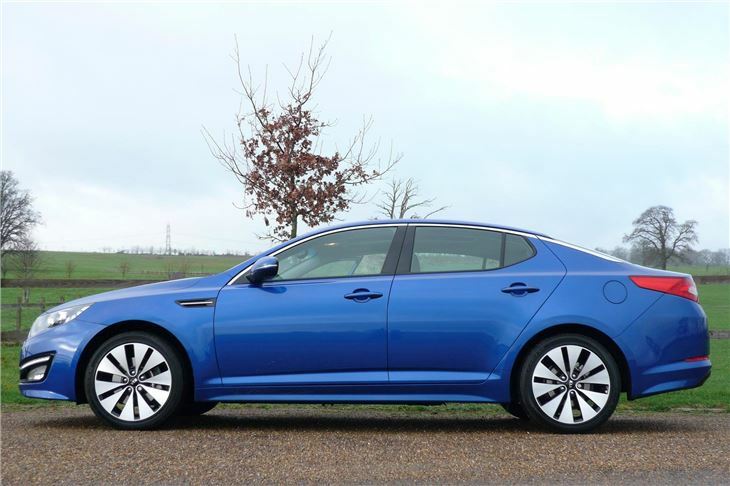 Yet while the Superb adopts an almost Bentley like cabin profile, the Optima is so sleek and uncluttered it looks like a car in a class above. 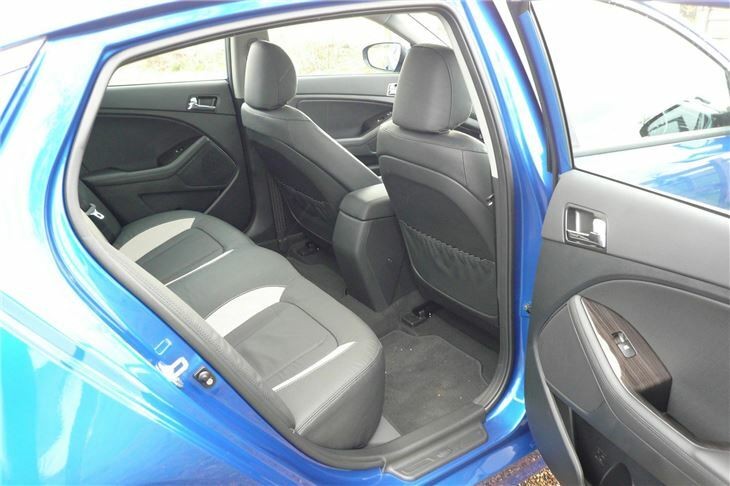 Curiously, the Vauxhall Insigna is longer, but much more cramped in the rear seat. 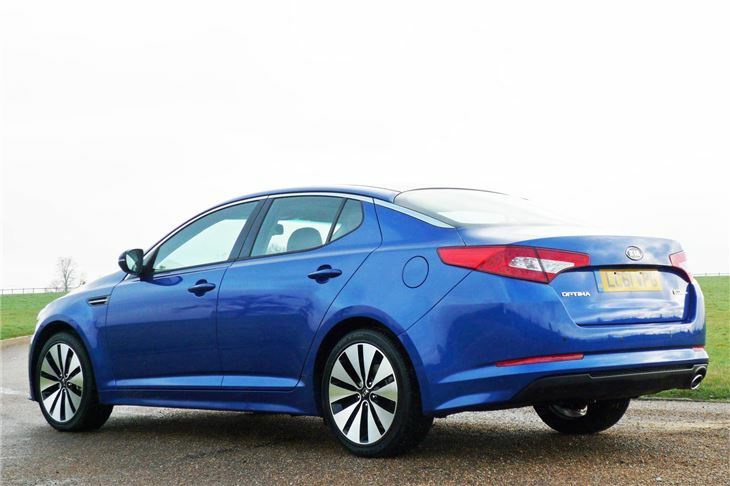 While the Peugeot 508, Mondeo and Hyundai i40 are all a little bit shorter. 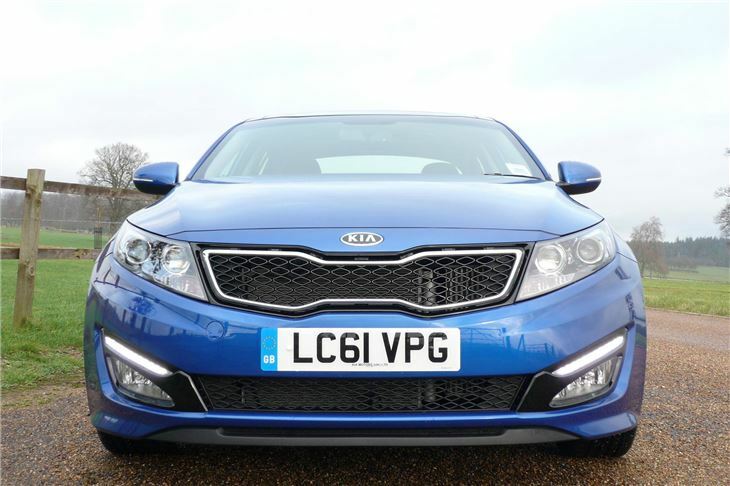 So, with a 134PS chain-cam 1.7-litre diesel engine, 128g/km VED, EC certified 57.6mpg combined and a price tag starting at £19,595 (same as a Mondeo 1.6 TDCI 115 Edge), a useful rear parking camera and a 7 year 100,000 mile warranty, the KIA Optima is bound to find itself ranked among taxis outside posher suburban stations. 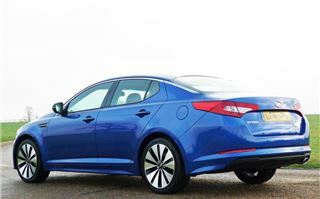 Actually, if I were KIA, I’d selectively offer some of the carriage trade a decent discount. Tired commuter steps off the train, tumbles into the first cab and finds himself in unexpected luxury. “What kind of car is this?” he’ll ask. And another sale will be on the way to being made. Company drivers, too, will appreciate the many attractions. That 128g/km isn’t the best for BIK. 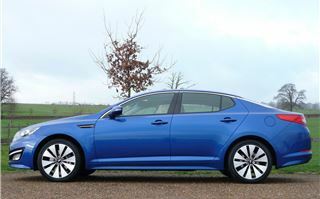 But, of course, BIK is also based on price and within the Optima’s tight bracket of £19,595 to £24,495 you can have an awful lot of kit. 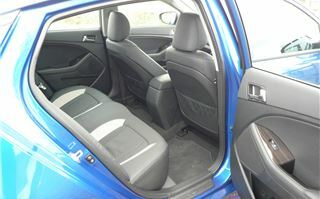 They all have alloy wheels, air conditioning, LED daytime running lights, leather steering wheel cover, Bluetooth with voice recognition and music streaming, steering wheel mounted audio controls, electric windows and mirrors, cruise control and a speed limiter. Ignoring the base spec Optima 1, for a very reasonable £21,695 you can then kit the Optima 2 out two different ways. Both have solar glass with auto defogging, automatically activated wipers, an eight-way adjustable powered driver's seat with memory setting, heated front seats, dual zone auto air conditioning in place of air conditioning, reverse parking camera, iPod connectivity and a premium ‘Supervision’ instrument cluster. 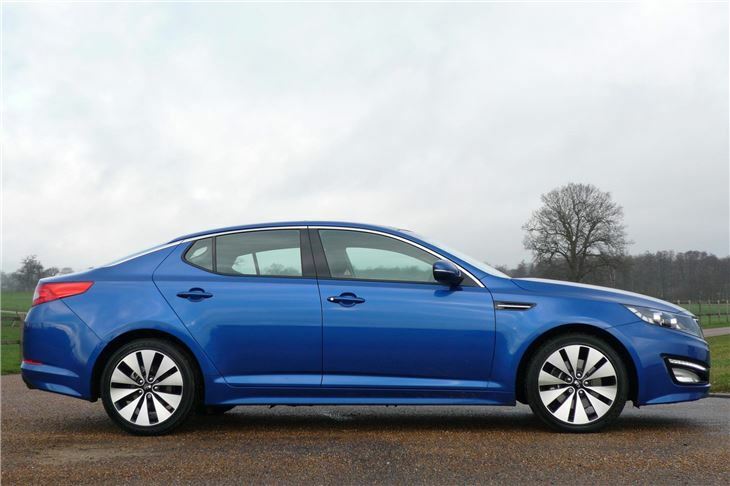 Luxe spec includes 18” alloy wheels with 225/45 R18 tyres, a double glass sunroof, grey leather seats and reversing camera screen in the rear view mirror. 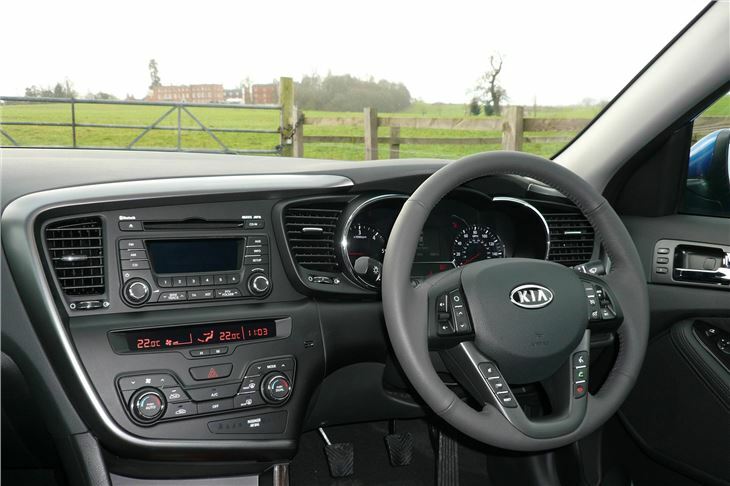 Tech spec brings you 17” alloy wheels with 215/55 R17 tyres, a 12 speaker infinity sound system, black leather and cloth seats and satellite navigation with a 7” display that doubles up as the reversing camera screen. 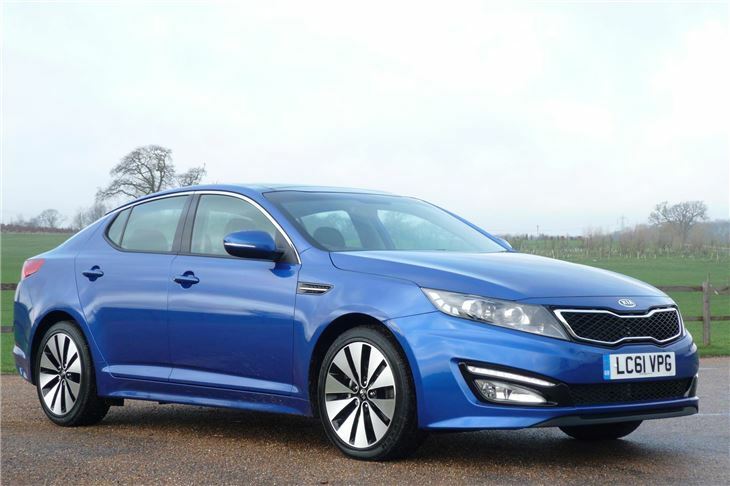 While the Optima 3 at £24,995 offers a combination of the 2 models with additional features. It includes a panoramic sunroof, auto light control, Infinity audio system and touch-screen satellite navigation with integrated reversing camera. 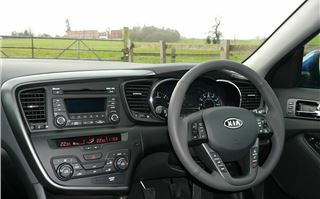 Xenon headlamps with automatic levelling, full black leather upholstery, a cool-ventilated driver's front seat, heated rear seats and an automatic parallel parking assist system are unique to the 3. Smart key with start/stop ignition button, stainless steel door scuff plates with front illumination, mood lighting and alloy pedals complete its top-of-the-range spec. 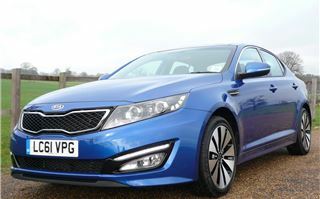 An extra £1,500 secures KIA’s own 6-speed automatic transmission with paddleshifts, but a CO2 hike up to 158g/km. Happily, the ‘Intelligent Stop Go’ does its job sensibly rather than annoyingly and can be switched off entirely. 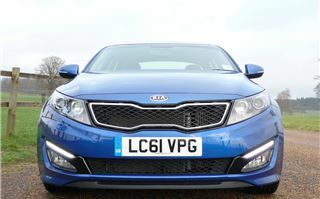 Having read some criticism of the way the Optima drove I was a little apprehensive. 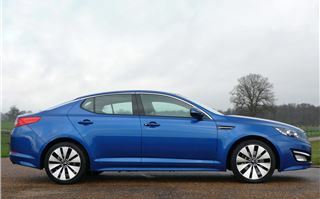 True, the diesel engine has a slightly reedy sound, lacks low-end torque and is a bit overgeared for punchy performance. You can feel it come on turbo at about 1,900rpm. But you soon get used to the engine characteristics and they didn’t bother me. I was also expecting less front-end bite, but the 225/45 R18s really hung on well and gave a decent amount of feedback. I’d like to have taken it on my favourite 46-mile test route to check it out properly on every type of corner and surface, but unfortunately that was 250 miles away. What was noticeable was the tyre roar. 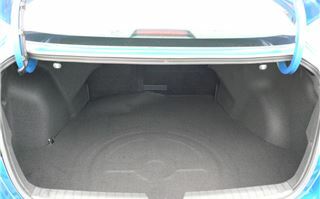 Impressive in both models, though, was the standard of trim and fit and finish. 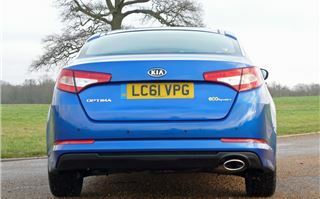 Blame Audi for setting the standard in this respect, but many carmakers have sought to follow and KIA has done a much better job than most. Not only that, pop the bonnet and it rises on a gas strut. No fiddling about with a bent wire prop. Worthy alternative to the Mondeo, Insigna, 508 and Superb? For sure. And what about the Hyundai i40 that shares the same drivetrain? 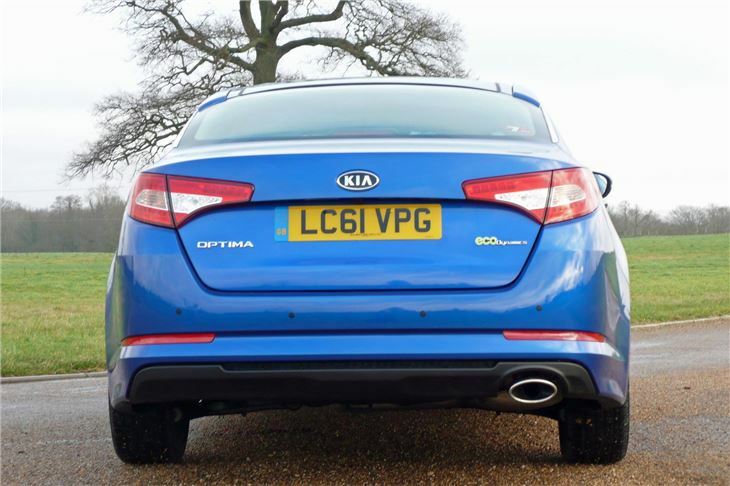 An extra 105mm (4”) in length means more legroom in the back of the Optima. And for private buyers, 7 years warranty is two more years peace of mind. 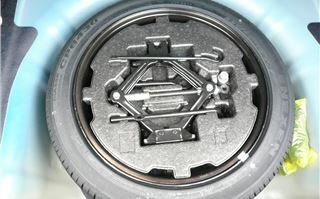 Latest update 5-3-2012: Drove a Tech model from Folkestone to Lausanne in Switzerland yesterday. It's geared at 32.5mph per 1,000rpm in 6th, so motorway cruising at 80mph (French Autoroute limit 130kmh) gives about 42 - 43mpg. 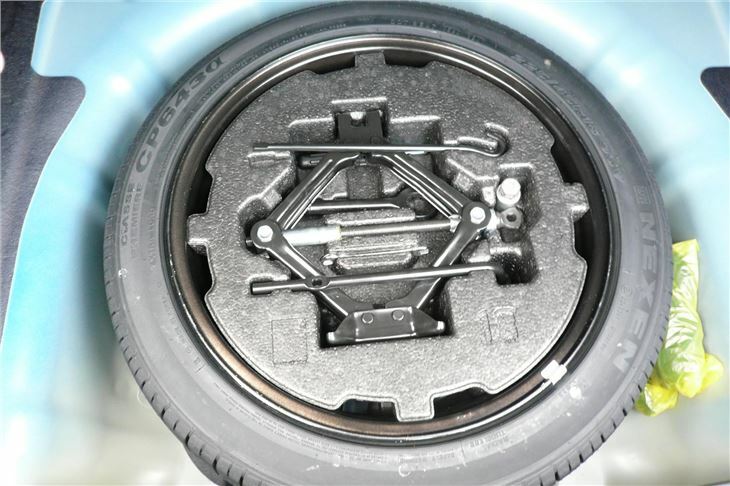 But excellent torque from around 1,200rpm makes higher gears usable at lower speeds, pulling 'A road' economy at 50-60mph up to around 50mpg and lifting our average over 1,300 miles to 48mpg.